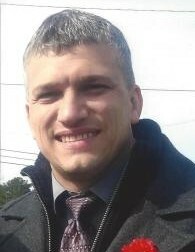 Mr. Mitchell Dean Morris, age 42, of Chatsworth, passed away on October 14, 2018, at Murray Medical Center. He is preceded in death by grandparents: Clyde & Jewel Morris and John & Blanch Hensley, uncle: Perry Morris. Mr. Morris is survived by spouse: Mitzi Morris of Chatsworth, parents: Scott & Joyce Morris of Chatsworth, children: Matthew Morris, Pery Morris, Brinley Morris, Morgan Rankin all of Chatsworth, mother in law & father in law: Darrell and Shirley Hill of Chatsworth, brother and sister- in law: Michael and Tina Morris of Dalton, sister in law: Tonya Bowers of Chatsworth, brother in law: Jason Bowers of Chatsworth, special aunt: Sharon Hensley of Blairsville, special nieces: Shelby Morris of Chatsworth, Brandy Tinsley of Dalton. Several nieces, nephews, and friends also survive. Funeral service will be held on Wednesday, October 17, at 2 PM in the chapel of Shawn Chapman Funeral Home with Rev Mark Rogers and Darrell Hill officiating. Interment will be in Sumach Cumberland Presbyterian Cemetery. The family will receive friends on Tuesday, October 16, 2 until 9 PM at the funeral home.